At Carrick Signs, we recently had the opportunity to supply some creative jigsaw signage to Global Campaign for Education (GCE) UK. This non-governmental organisation is part of an international coalition working to promote children's and adult education through research and advocacy. Global Campaign for Education UK recently held an event at the UK parliament to raise awareness for children missing out on education throughout the world and had contacted us in order to provide some signage to further illustrate the message. The idea for the signage centred around creating foamex jigsaw puzzle pieces with a single word printed on each cut to shape puzzle piece. 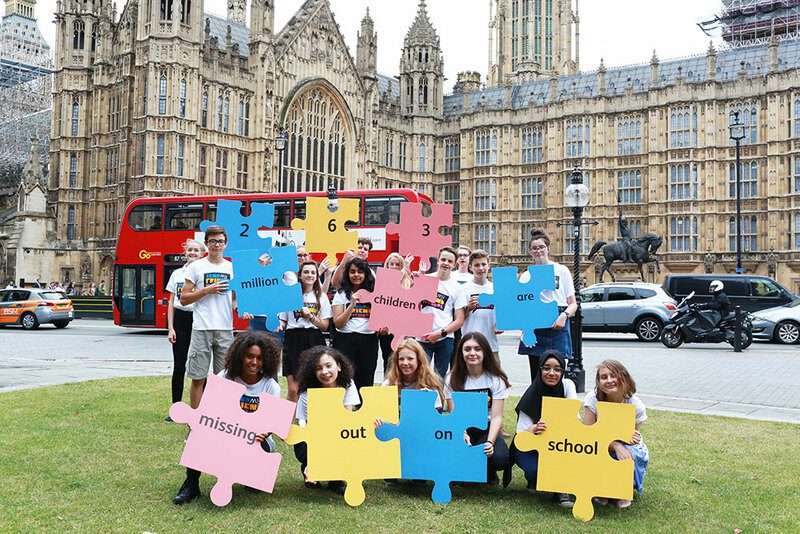 Members of the event were then tasked with assembling these jigsaw pieces in the correct order which would result in the sentence: 263 million children are missing out on school. In order to make the most out of the puzzle pieces, the cut out puzzle piece template was designed so that any piece could fit into any other piece. This design choice allows the foamex jigsaw puzzle to be completed in various combinations thus increasing the fun of the puzzle and therefore strengthening the impact of the message behind it. We print perspex signs in Whitefield near Manchester and deliver any perspex signage to all UK locations inculding Lancashire, Leeds, Glasgow, London, Birmingham, Sheffield, Bury, Bradford, Wakefield, Cardiff, Coventry, Edinburgh, Liverpool, Bristol, Nottingham, Leicester, Brighton, Hull, Plymouth, Stoke-on-Trent, Wolverhampton, Derby, Sunderland, Belfast, Newcastle upon Tyne, Swansea, Southampton, Salford, Aberdeen, Westminster, Portsmouth, York, Peterborough, Dundee, Lancaster, Oxford and others.